An insight to the machinery and equipment we run. XYZ VL425 - with Prototrak Control Unit. XYZ SLX-1630 - with Prototrak Control Unit. Haas SL10 - with magazine barfeed. Haas SL30 - Driven tools C axis and magazine barfeed. ONECNC CadCam - Programming Facility. Haas VF4 -10,000 RPM + fourth axis. 2 off XYZ LPM 8000 - RPM conversation control. 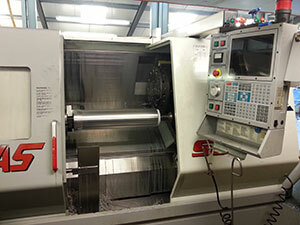 XYZ DPM 5000 - 1500mm X axis capacity. Hydraulic Ram and Plant repair, Refurbishment or new manufacture. Welding - Tig, Mig and Stick; Mild, Stainless Steels and Aluminium. Pressing - up to 60 tonnes. Dedicated and enclosed Inspection department. Brown and Sharp Etalon Derby CMM. All inspection equipment is regularly calibrated in line with ISO 9001:2015. At DS Machining, we have a well equipped Milling section, consisting of the following machines. XYZ DPM 5000 & DPM 3000. 2 off XYZ LPM mills . 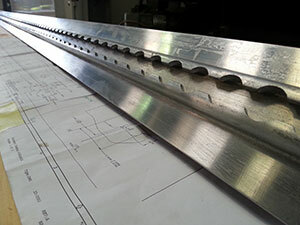 Ability to produce one off prototypes and large batch quantities. Ability to carry out modifications to existing parts. High tolerances achieved with consistency throughout parts produced. Production parts in a wide range of materials, including stainless, plastic and exotics. The Haas machines offer axes traverse up to 1300mm in the X axis, 10,000 RPM, 24m/min Rapid, 30 tool A.T.C and fully programmable fourth axis. These machines have the capability of producing large batch quantities quickly, ensuring quality and consistency from the first to the last of the batch. Both are connected to our offline programming and CadCam station. Our biggest X axis capacity comes from our DPM 5000, which has 1500mm. This machine has an XYZ Prototrak MX3 Control which offers conversational style 3 Axis programming. These machines allow us to produce complex milled components in low volume, with significant improvement in quality and productivity over a conventional machine. We have some conventional mill machines too. 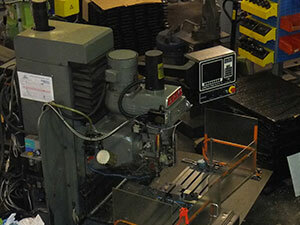 For the production of larger batches of turned components, we have a choice of two machines. 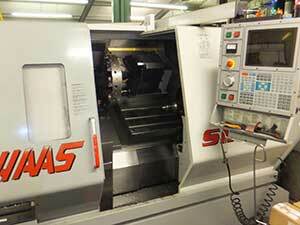 The HAAS SL30 is a CNC lathe with 65mm bar capacity, fed by a Haas Magazine bar feed. It has a 10" chuck and Driven Tooling, making it very versatile with regard to the components that it can produce. Our HAAS SL10 which is the smaller of the two machines, is also equipped with a magazine bar feed . It is capable of bar work up to 45mm max capacity and small billet work. Both machines are geared up for large volume production of parts between, say, 20 and 1000 off. Both HAAS machines are linked to an offline programming and CadCam station. 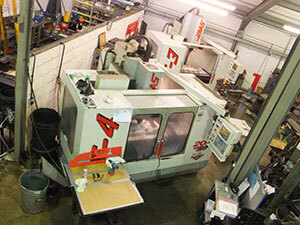 Having both sizes of HAAS machines, makes our turning capacity quite versatile. By being efficient with their use, we can get thru a lot of work quickly. The bar feeds give us a lights out option for manufacture as well. 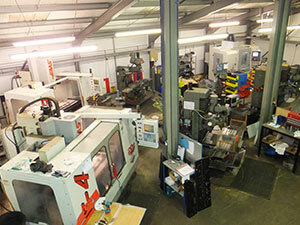 For lower volume production of parts, we again have a choice of two machines. 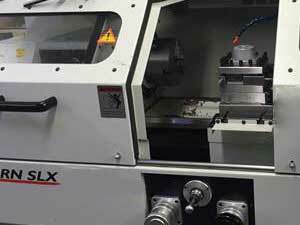 An XYZ VL425 with advanced Prototrak SMX Control offers the latest in Centre Lathe Turning Technology. Based around the conventional lathe, it offers a conversation style of control with constant surface speed and user friendly operation. 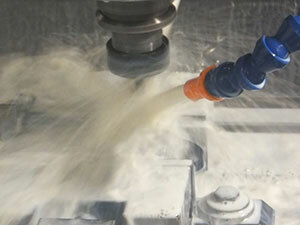 This makes it capable of full CNC quality machining on small batches, with a fraction of the set up time. The XYZ VL425 is also capable of producing larger turned parts, up to 650mm in the gap, and 450mm over the bed, with 2 meters between centers. We also have a smaller version of this machine. The XYZ SLX 1630 is similar in all aspects, however, is much better suited to the smaller jobs that are sometimes found lost on the bigger machine. The XYZ SLX 1630 exhibits all the easy to use attributes for speedy production of one offs and small batch work. This ensures jobs are carried out as quickly and cost effectively as possible. 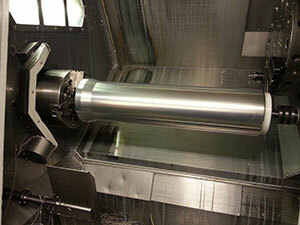 It has a swing over bed of 400mm, and this spindle bore size of up to 54mm.